Here is an orphaned tea cup from my box of treasures from the antique mall. This tea cup has such a neat shape! If you peak inside, you will see some fruit! 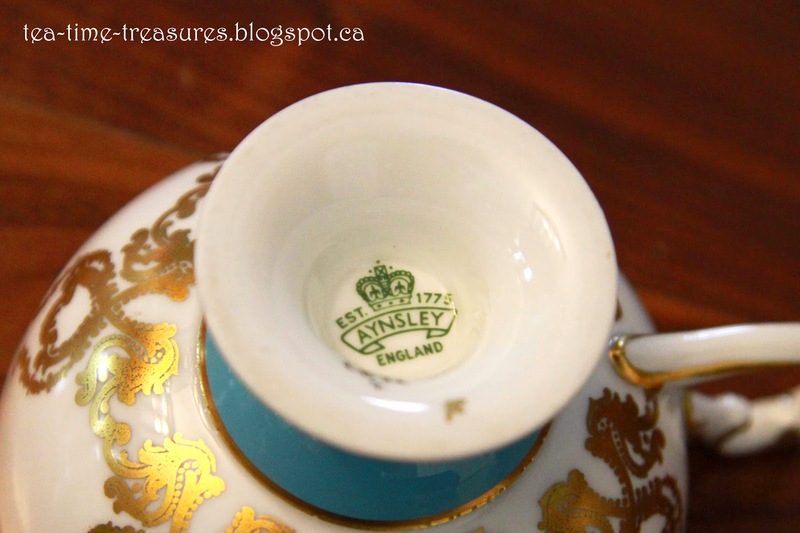 I seem to have a knack for finding Aynsley tea cups without their saucers. 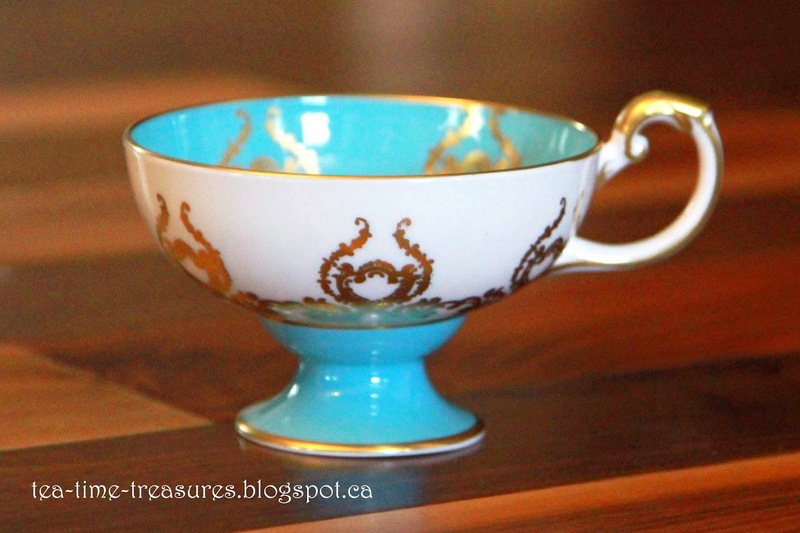 This is my third orphaned Aynsley tea cup. 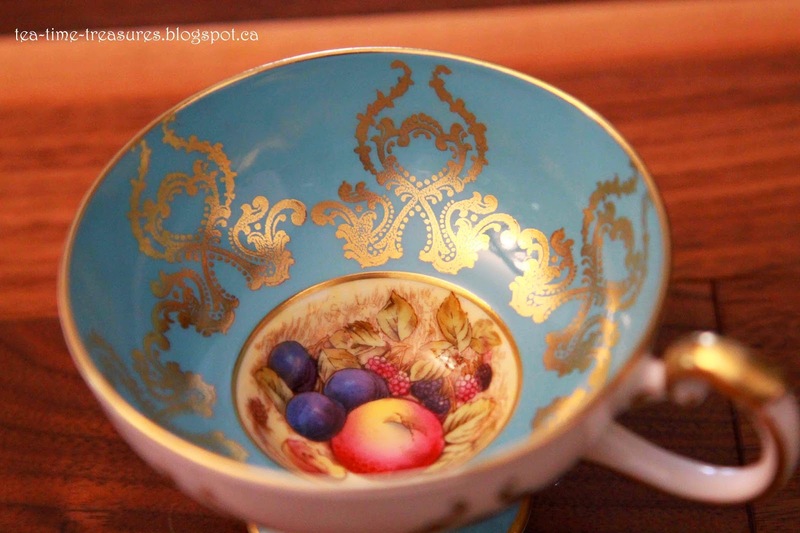 This tea cup was produced some time between 1939 to the early 1950s. While reading a bit about this company, I read that founder John Aynsley's son formed Paragon China and so it was the the founder's grandson who eventually took over the business. While Aynsley remained independent, Paragon was taken over by Royal Albert in 1960. Royal Albert was purchased by the Doulton group in 1972. Wedgewood then purchased that company in 2005.